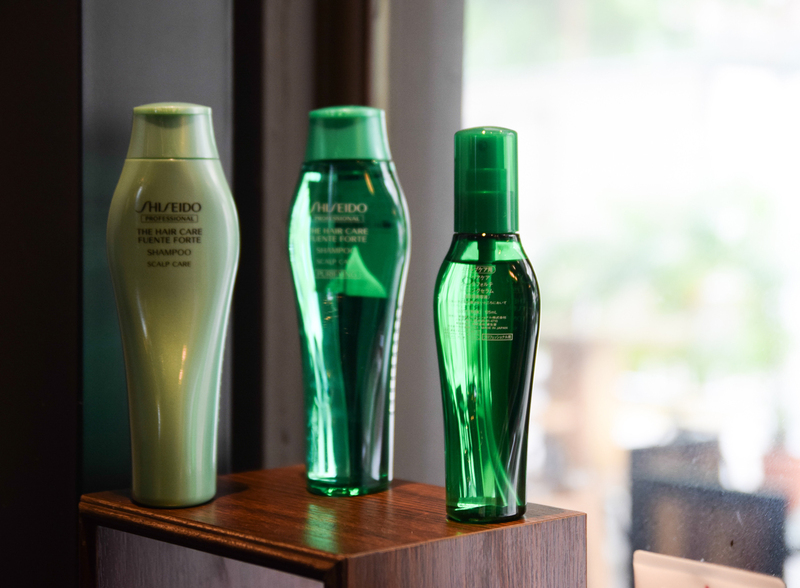 It has been my knowledge that when it comes to nourishment for your hair, your strands would need the very best. There have been many treatments that we have seen that have come and gone in multiple hair salons but the latest Ultrasonic Platinum Treatment by 76 Style which was launched a couple of months ago is rather prominent and thus by view and experience is here to stay. However let's first take a look at the location of 76 Style. 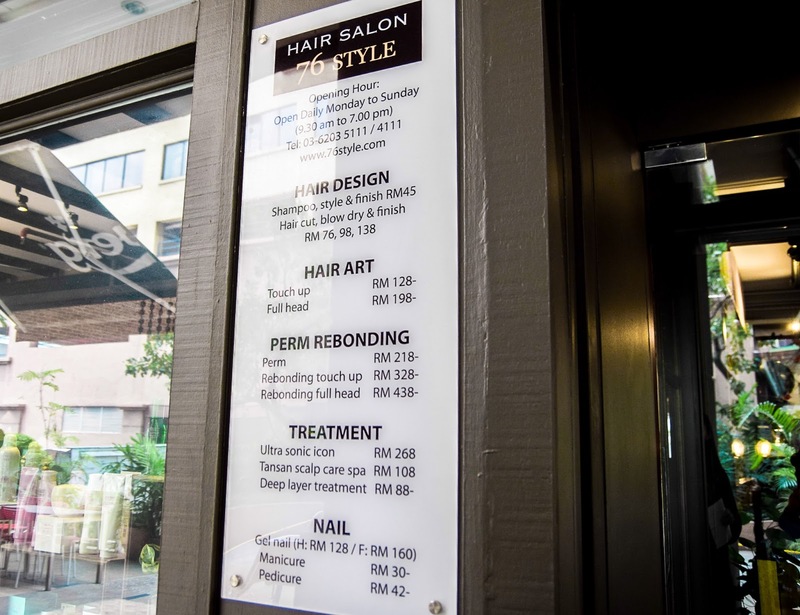 Placed in Plaza Mont Kiara, this salon is no stranger to its industry and is actually the very first 76 Salon to come about before the rest. 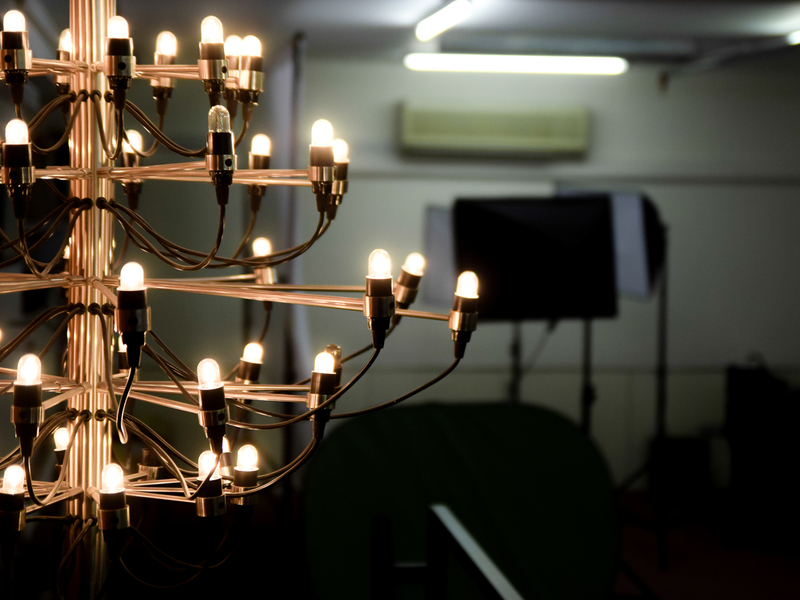 Beautifully lit, it beckons customers to a very open yet comfortable experience. 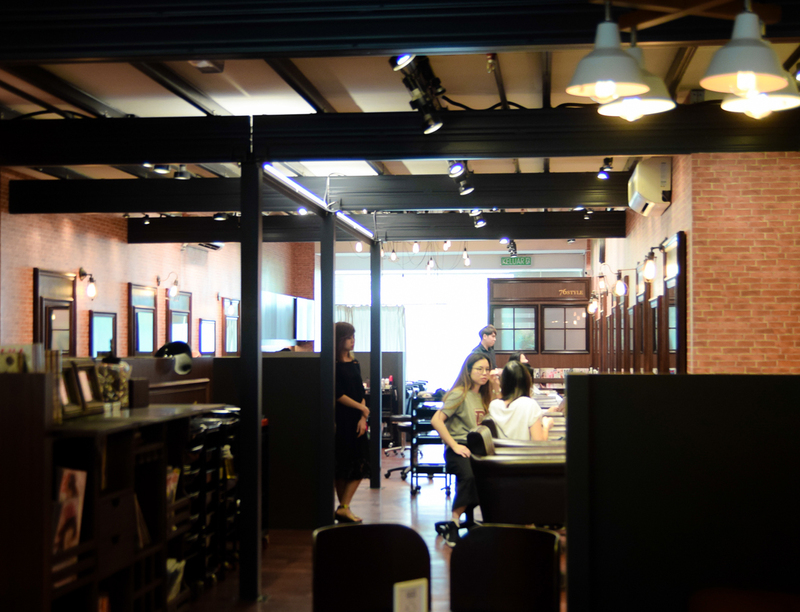 In terms of impression, the place hosts sturdy wooden floors, signature red brick walls and beautifully lined salon chairs. 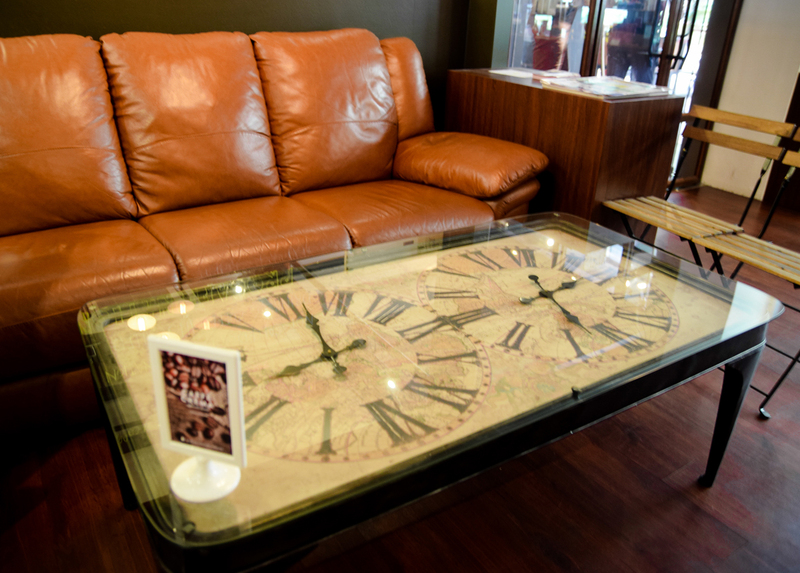 Within you will also find vintage upholstery and decorations which also boosts the ambiance of the atmosphere around the entrance. 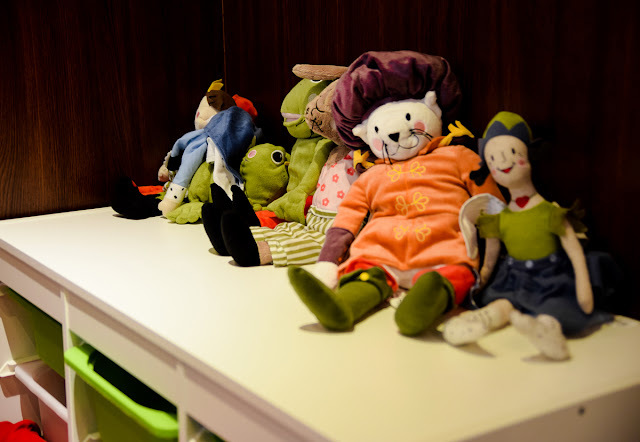 Now if you were to look around carefully, you would also realize that this is a family friendly place that has a separate setting for children, chock-full with educational books and toys. What is great about this is that whilst the adults enjoy the concept and pampering that 76 Style moderates, they would be able to bring their kids along with them to appreciate and heighten their surroundings. In terms of this, the parents would feel rather comfortable getting their hair done professionally in their corner while their children would play happily and relaxed in the theirs. So in a way, it is a win win situation on both ends. Plus this place is located right next to Caffe Crema as well so a little pick me up would also be in order to those who need it. Now on to the treatment. If you all have been following closely with the hair treatments that I have done within the year, you would already know on the earlier edition that was previously spoken of on the page. Thus if you have read the post on the Ultrasonic Premium Treatment, you would roughly know the basics of how this new Ultrasonic Platinum Treatment would work. Nonetheless if you haven't, don't fret just yet for it will still be broken down to note the difference in both treatments. So with regards to every hair regime done, its focal points of course remains in its products. 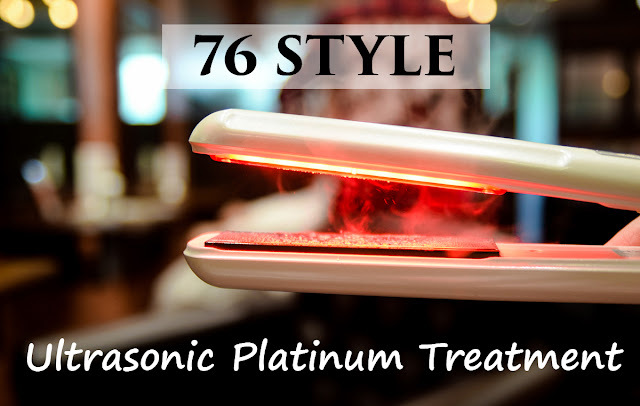 Hence the ones used for the Ultrasonic Platinum is specially hand-picked by the top professionals at 76 Style and thus is then imported from Japan to be brought forth to you. Now once we have the products in hand, we start the process with towel dried hair, so a simple wash on the strands would do. 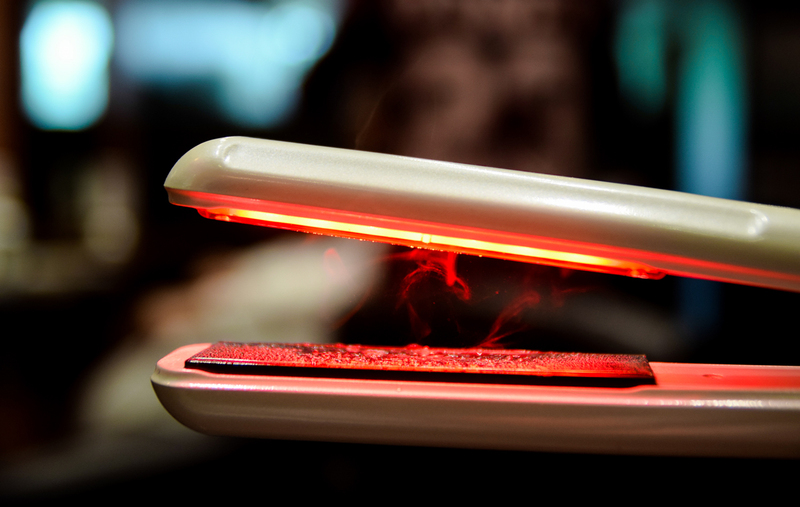 Later on their signature cold flat iron comes in and regardless of what you see in the picture, no this iron is not hot at all. However moving on to the specifics of what it does, this cold flat iron uses special Japanese technology of high-speed vibration which beats at 37,000 per second. This pace ensures that the nutrition of the treatment cream will penetrate even more into your hair strands and in kind activate the moisture sequence from the treatment within. The ironing is then done in small sections to ensure that each part of the hair is not missed. Applied evenly from one inch away from the root of the hair, the iron moves downwards so that each strand would be able to acquire the deep nourishment from its cuticles to the root. 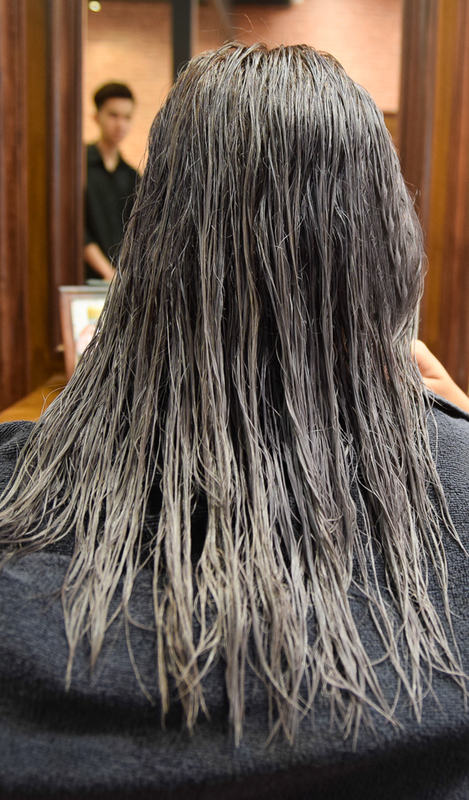 Of course after this, there is the reapplication of the treatment cream that goes into the hair bonds and thus after rinsing another layer of hair mask which is extended for lock and moisture after 10 minutes, it would be time to style the hair. After that, you are pretty much good to go. The whole process is pretty simple when you think about it and even though in terms of duration, the process definitely takes a little longer than its previous premium treatment ,but with regards to the results, it certainly shows. Silky, smoother hair now frames the face plus when we look on from side to side, healthy locks thus cascades down the nape of the neck like a proud parade. Results: Longer lasting results (2 months), greater shine, tampered frizziness, smoother strands and color vibrancy maintained. Now I should mention that 76 Style also offers an awesome styling studio upstairs which upon request, can be used to take photos of your stunning strands after it has been carefully done up by your professional stylist. There is no fee to this but you would definitely need to request for it after you are done with your hair, just for acknowledgement purposes. 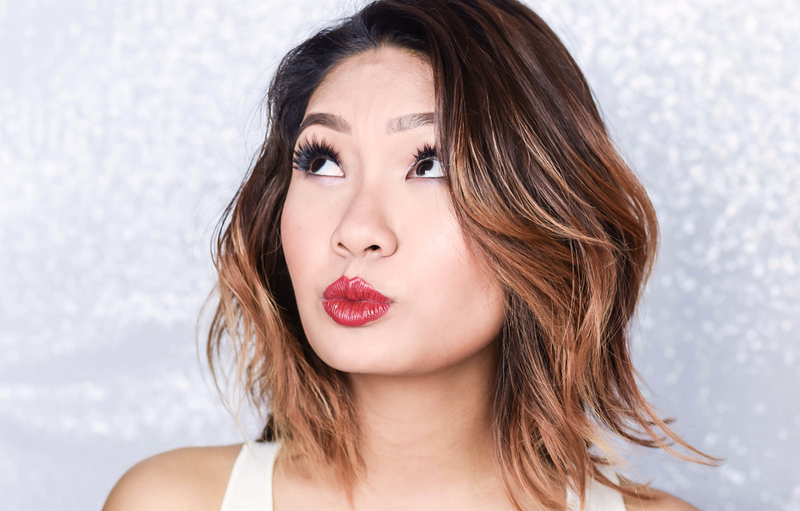 Overall the experience was extremely delightful and 90 minutes for a little pampering for your strands would definitely go a long way in terms of gaining healthier and shinier hair. Plus 76 Style has such personalized service that any customer would be happy with so whatever treatment it is that you would want to do, it would be great to do it there. 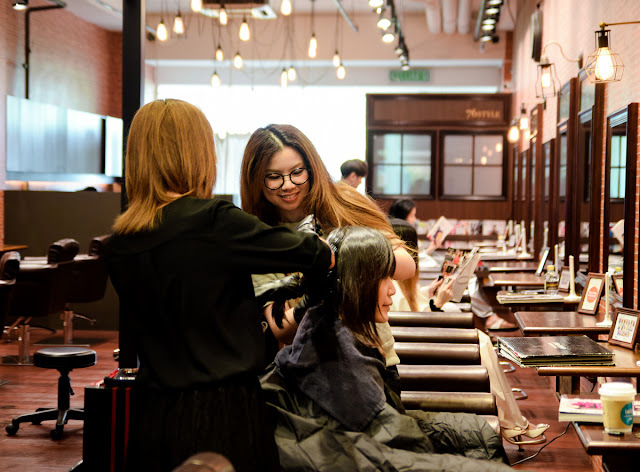 You can also ask for Saki who is the senior stylist who did my hair (she is splendid) but for more details, you can always head to their Official Website for further information. Also just a little reminder that if you would like to find parking at Plaza Mont Kiara, it would be highly suggest to go early as the parking spots gets filled up rather quickly in the afternoon. However just in case, I have also listed down the details on the location for 76 Style for easier reference, so hopefully this will be helpful as well. The hair iron looks damned hot kot. Did they use the iron to make the hair looks beautiful curly like that. 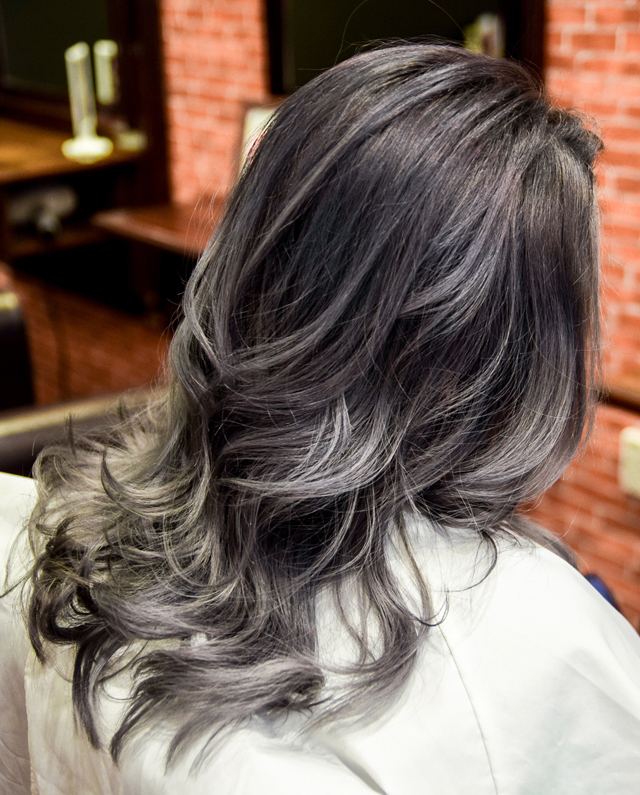 Awesome hair color ! Such advanced technology for hair treatment. Didn't know they can actually incorporate ultrasonic for better nutrition absorption. The end result looks satisfying! Wow can see the after treatment is so so obvious! Miss their treatment btw :P Want to get healtheir hair too! I've tried this treatment at Number76 before. Really love this treatment. Is this salon related with number76? this is such a nice post.. love your photography and yeah.. your hair looks so amazing after your ultrasonic platinum treatment..
Wah... never knew there's a studio for pic purpose. And I love your hair colour, babe! 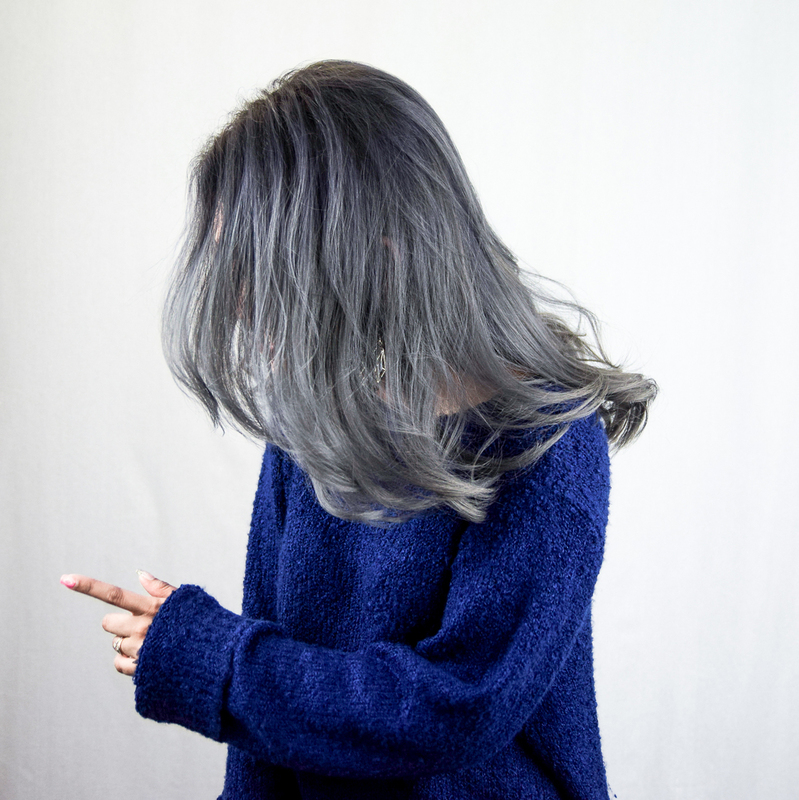 Nice hair color. Good to know about this treatment. I ll check whether I find something similar in SG too. 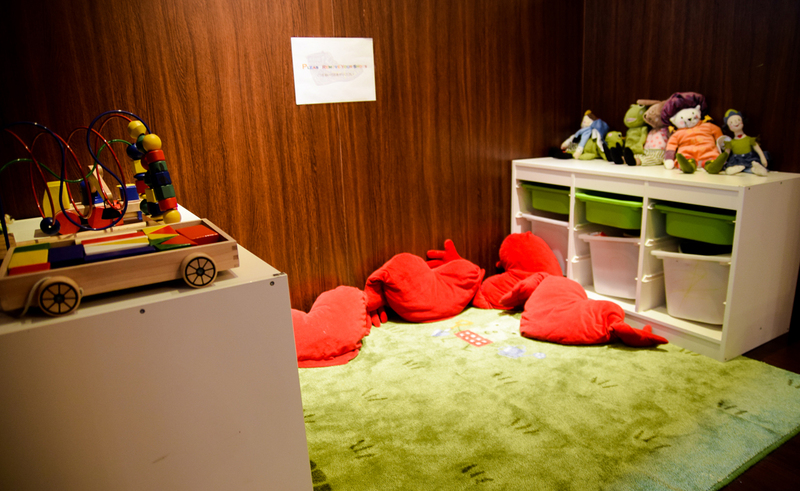 I tried their tansan treatment before. Love it. Wow! you hair look gorgeous! I love your hair color!! I tried their ultrasonic premium before...But...hmmm..guess my hair is very dry so after a while the result went off. Me too love the ultrasonic treatment! It makes my hair so smooth! Wow.. Your hairs looks awesome in the last photos and seems so healthy. I love ultrasonic treatments! Leaves my hair super smooth for quite a few weeks before my next touch up session! I have heard so much about them but have not give it a try. Your hair look so nice! Wow! Love the hair colour and the body of it! 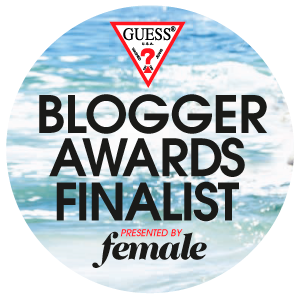 Kudos to the dresser and 76 Style! 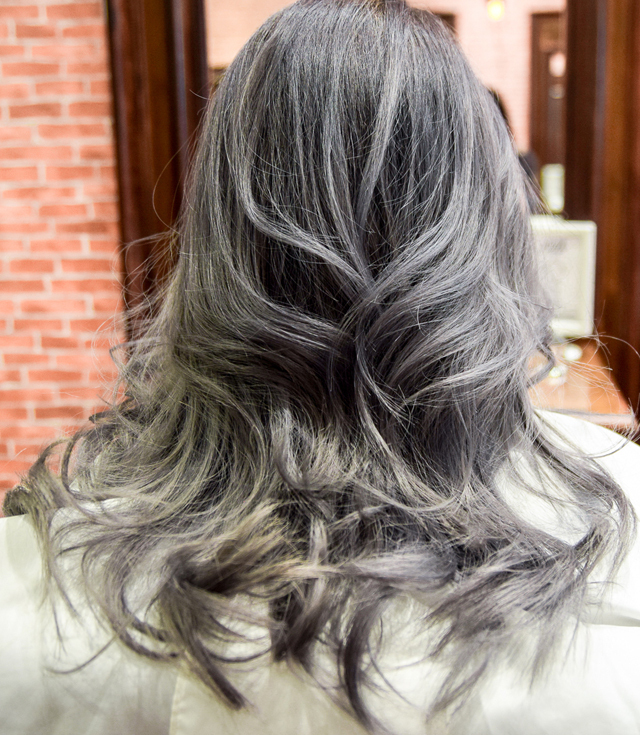 i love your grey hair! i have just done the treatment yesterday and it was awesome! I also go number 76 for hair treatment or trim my hair. I love their service. Beautiful. The hair looks so natural yet straight and nice. 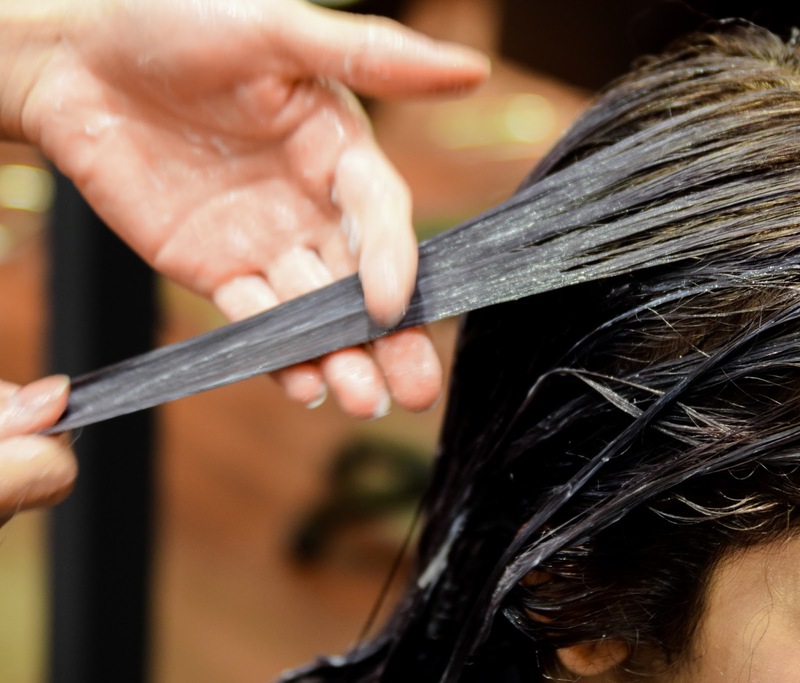 Unlike traditional hair straightening, this method doesn't make your hair flat. It looks fluffy and gives 'thick hair' effect. I've not pampered my hair for years! Love your hair!